Transcend health`s exercise physiologist will help you move more easily and comfortable do the things you love longer. This is the best treatment for those who are experiencing pain from injury or a condition. Expert physiotherapist consultations. Helping you to move better and live healthily so you can do the things you love with strength and ease. Personalised health, wellness and dietary advice. Increase your flexibility, muscle strength and tone. Improve respiration, energy and vitality whatever your shape or age we can help you move well. During a yoga class you can expect to move through a sequence of poses, designed to create space both physically, and energetically. At Transcend Health – an exercise physiologist newcastle, we are about inspiring and helping you to move your body, and experience life unrestrained by pain, injury, disease and illness. Whatever your favourite way to move is (physical activity, exercise, sport, active play, etc) Our physiologists will help you to keep moving and doing the things you love longer. Our physiotherapists are a team, combining physiotherapy and exercise physiology with a whole lot of passion for all forms of movement. Our physiologist can’t wait to share our philosophy and help you move beyond mediocrity. Our Exercise Physiologist will help you feel comfortable – there is no boot camp style screaming in our sessions – and to exercise and implement healthy habits in a way that is safe and suitable for you. Exercise for every body, regardless of fitness level, age, gender or limitations to movement. Find out more about our exercise physiology services. Physiotherapy at Transcend Health – physiotherapist newcastle, a takes you from the clinical treatment room into the gym and back into life to achieve pain free wellness, find out more. Our yoga classes believe Yoga gives you the opportunity to become more aware of your body, and better equips you to manage your injury, and pain. Our yoga classes newcastle offer Yoga in small group classes every week, or as private tutorials by appointment. 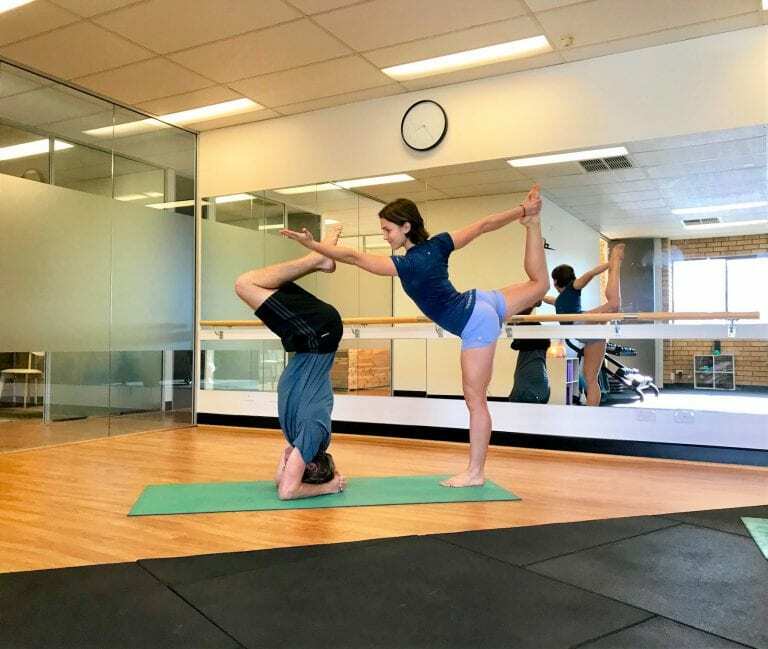 Our Yoga classes are appropriate for beginners, and for those with injuries. During your first session, transcend health – physiotherapists newcastle, will spend some time listening to and assessing your needs and work with you to create the best plan for you to achieve your goals. This initial session in 60 minutes long. You may have access to rebates and compensible schemes with appropriate health fund coverage or GP referral. I have been working with Jacci for for pain management and strength. My back and muscle pain was horrendous, but not anymore. I could not have got this far without her. Would highly recommend her to anyone. Duncan is an absolute champ and with his help this week I’ve returned to all my usual activities with no pain or problems at all. I challenge you to find a better physio in Newcastle! I highly recommend Jacci and Duncan at Transcend Health for anyone who wants to move better, improve their running and body weight strength training. Duncan and Jacci are amazing! They work really well together and were so good at getting the right program and solutions in place for me. I’ll be going back for as long as they are there. We love Jacci! She is super passionate and you can tell she loves what she does. I feel the best I have in a long time. Thank you so much for getting me moving and feeling great again.